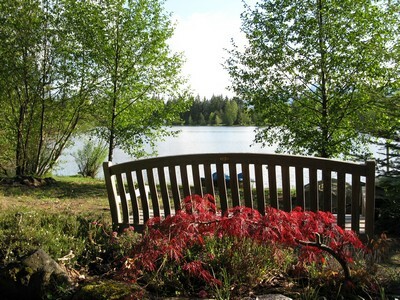 Located on a private lake exactly half way between Courtenay and Campbell River, the Robinson Lake Retreat is perfectly situated for exploring the Comox Valley, Campbell River, Mount Washington, Strathcona Park, and the nearby ocean side beaches. 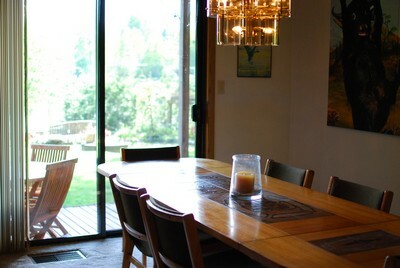 The large waterfront house sits on an acre of trees and looks directly out across the lake and Mount Washington. Robinson Lake is perfect for swimming, canoeing, and sailing. No motorboats are permitted to keep the water clean and the area peaceful! Nature is on full display with a dizzying array of birds, as well as the trout and turtles that call Robinson Lake home. 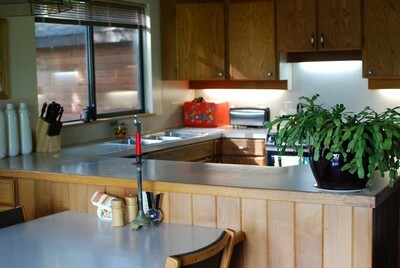 The Robinson Lake Retreat, is a custom built wood dominated, fun, funky and laid back House in the woods. The main living room, dining room, kitchen/second dining room, and all four bedrooms, all look out at the lakefront and nearby Mount Washington. 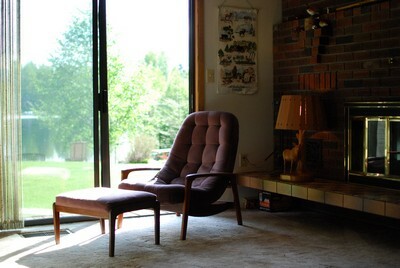 The viewpoints are bright and beautiful from almost everywhere in the house. Only the fully equipped home theater living room faces away from the lake, sun and mountains and it is nestled into the comfortable shade of the towering firs and alders. 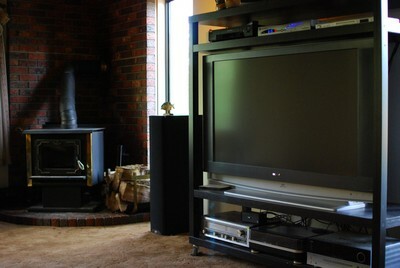 Watching hundreds of satellite channels or some DVDs on a large 55 inch HD TV with surround sound can take you away from all of the nature should you desire it! 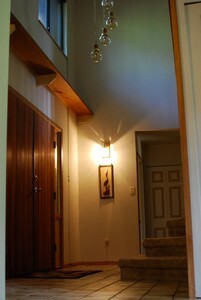 High speed wireless internet is available throughout the house and property. 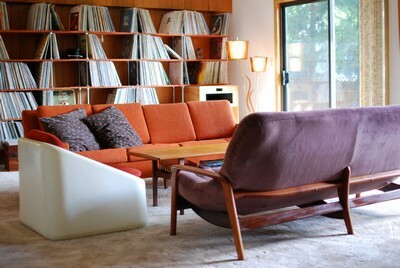 The lakeside stereo living room comes complete with an audiophile sound system and a large selection of records and CDs. 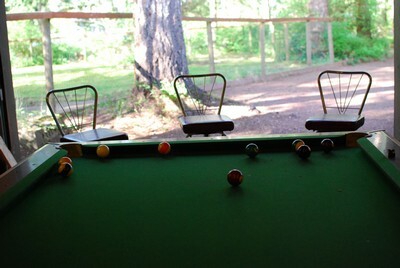 There is a pool table in the shade of the trees! The large master bedroom features an incredible French king size bed, and a couch and fireplace that opens onto a large balcony that looks out upon the lake. 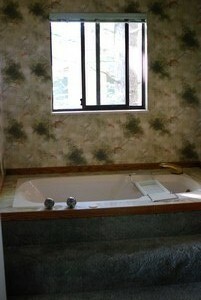 There is a large ensuite bathroom featuring a jetted jacuzzi tub as well as a separate shower. 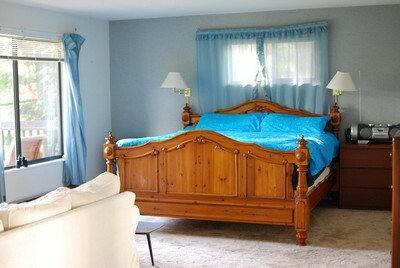 There are three other bedrooms with two queen size beds and a double bed. 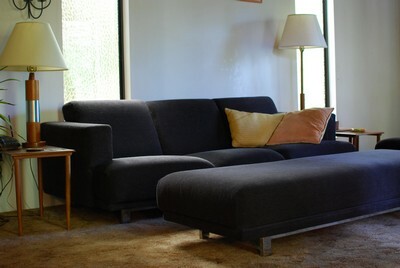 If necessary the living room couches can accommodate 3 more people. The other two guest bathrooms feature a shower on the lower floor, and a shower/tub combo upstairs. Outdoors you can swim around Robinson Lake and be amazed at the bird life and natural beauty. The beach area features a fire pit for campfires anytime of the day. 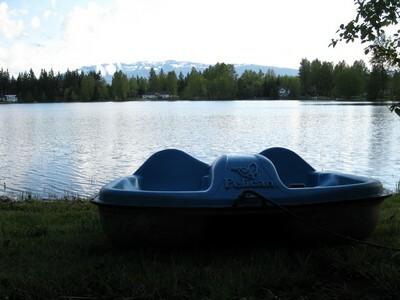 A canoe, paddle boat, and an assortment of floating chairs and mattresses are provided. A full BBQ and outdoor dining table is there for your use and enjoyment. The nearby Comox Valley has been named The Recreational Capital of Canada for good reason. The abundance of fantastic beaches, lakes, mountains, forests, and numerous golf courses make it a community with an unlimited potential for nature excursions. The sandy beaches of Saratoga and Miracle Beach are just 5 minutes away! Nearby Mount Washington generally gets more snow than most ski hills in North America and is well regarded as one of Canada's best alpine resorts. The towns of Courtenay, Comox, and Cumberland, all 20 minutes south, all possess plenty of character boutique shopping, and a truly impressive choice of dining. A few minutes further south from Courtenay is the Buckley Bay ferry terminal that takes you to the Denman and Hornby Islands. Hornby Island arguably features the most pristine sandy beaches on the entire west coast and is most definitely worth a day trip or longer! Campbell River, just 20 minutes north, is world famous for its fishing, and is the gateway to Strathcona Park and a fabulous scenic and fun drive to Gold River and beyond. You can also take a ferry to Quadra and Cortez Islands from Campbell River for even more west coast options. 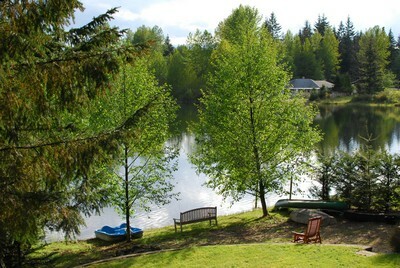 The Robinson Lake Retreat is an hour and a half from Nanaimo Departure Bay ferry terminal. Please note although this property does not allow pets during rentals, if you have cat related allergies please be advised that the owner brings a cat with them when attending the property. 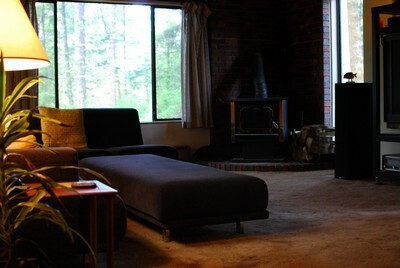 The living room couches can accommodate 3 additional people. August 2012 We had a wonderful time at Robinson Lake. A vacation with fun times to remember. Having read a particularly negative testimonial for this property, we were a little apprehensive about what we would find. Our fears were totally unfounded. Yes its 30 year old house showing its age. Consequently there is nothing starchy about this place. We found it to be safe, secure, very clean and most importantly ready for some good quality family fun! We found so much to keep us all entertained. We thoroughly enjoyed swimming in the lake catching the wind in the sailboat, paddling the canoe and other watercraft. The pool table in the garage was great fun too. The dining table was big enough for our family of 8 to sit around and enough space throughout the house for each of us to find a quiet time. Most remarkably, there were very few bugs, so sitting out on the deck reading and enjoying the view of the lake was a joy. 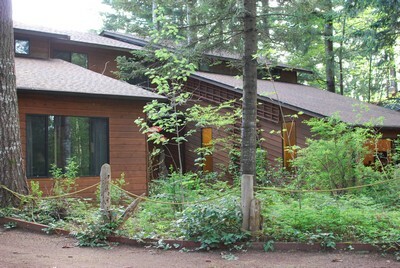 Robinson Lake Retreat is a very spacious property with a nice 'lived in' feeling with many of the owners personal effects available for use e.g. the vast LP record collection and turntables. Its in a lovely location. Its fixtures and fittings are dated and collection of paintings bizarre. 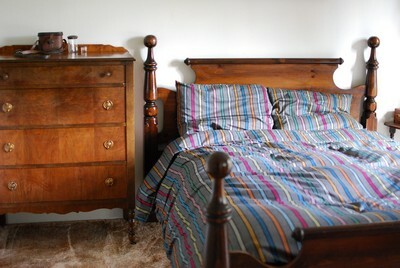 Carpet rather than lino in all the bedrooms would be nice. We thoroughly enjoyed our stay and meeting the owner on arrival. He did not wish to 'outmuster' us on departure but we did call and speak to his mother. We really enjoyed our stay at Robinson Lake Retreat. 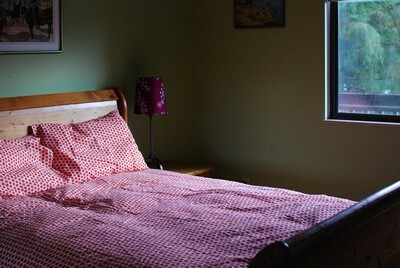 It was very comfortable and well equipped. Its location by the lake with access to boats was a definite advantage for our teenage sons. A fantastic view of Mount Washington from the lake side of the property. 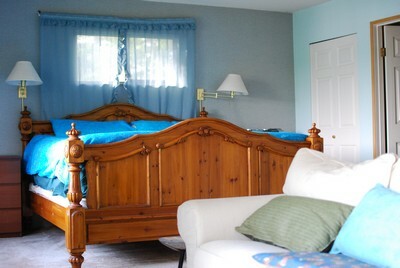 The owner greeted us on our arrival and was helpful and left clear notes about the property. We had a fantastic time at the Robinson Lake Resort this summer. 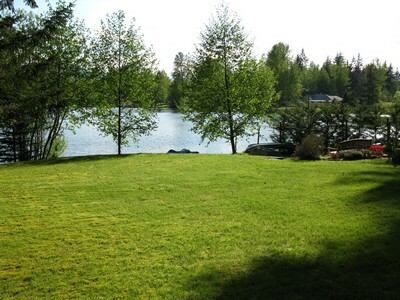 It's a large, comfortable home situated on a picturesque lake near Black Creek, in the Comox Valley, in a quiet, peaceful neighbourhood. It offers a fantastic entertainment room complete with big screen TV and stereo to entertain the kids in the evening, and a large living room with an astonishing collection of music overlooking the backyard and the lake, and good WiFi Internet access. Lots of water toys to play with and a nice fire pit on the beach. 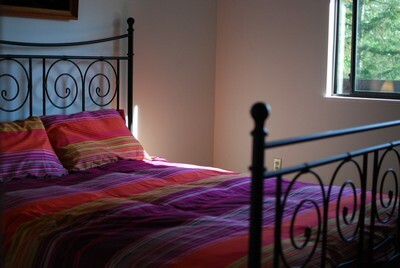 Upstairs are three bedrooms, a bathroom, plus a beautiful master bedroom with ensuite. 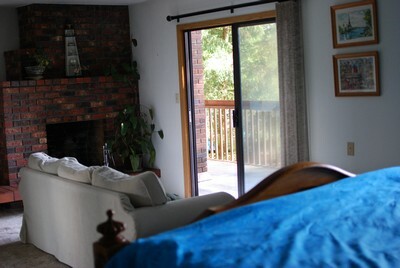 Two of the bedrooms have sliding door access to the full length upstairs deck. 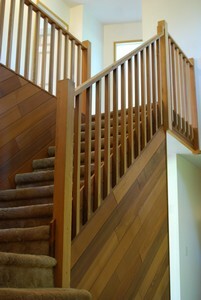 There is also a full length deck on the main floor where you can sit and enjoy the view of the mountains. This house is like an old friend, its not a polished and shiny executive home, it's a lived in home, complete with all the things you need and you would never find in an executive rental, like a roll of tape in the garage so the kids could do some beading they forgot their tape, some fishing rods in the shed, a pool table in the garage, a genuine Stella Artois glass for my favourite beer, and a junk drawer in the kitchen that had the paper clip that I needed to clip my speeches together for the wedding we were attending. 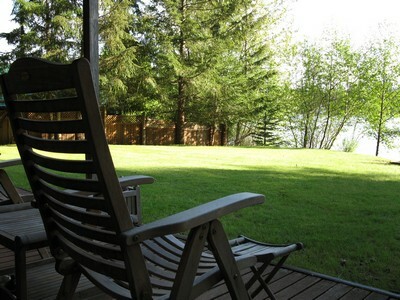 This is a great spot for a family or two to have a vacation in beautiful British Columbia. Nearby to world class salmon fishing in Campbell River my son's first salmon was a 31 pound monster!. We will definitely be going back here and highly recommend this property. The rental agency was very professional and made sure we could find our way there and that somebody was there to greet us and show us around this wonderful property. Robinson lake promised so much, however the quality of the accommodation was very very poor and as a result horrendously expensive. I feel we were totally ripped off. It was certainly not what was advertised and was insultingly expensive. I strongly suggest that until the bathrooms, holes in all the walls and the kitchen are corrected it should be removed from the market. 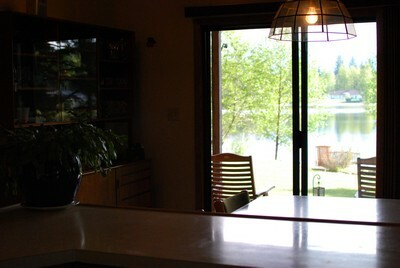 Thank you for your comments on the Robinson Lake Retreat. We are glad to see you enjoyed your stay as you rated it Very Good. We are sorry you did not find the accommodations to your liking. We have let the owners of the Robinson Lake Retreat know of your experience so they can improve the property for future guests. 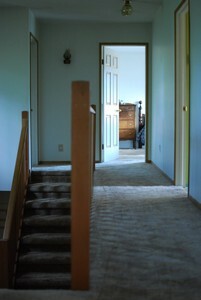 This is the first time our company has received a bad experience testimony from this property. We do ask our guests to contact us immediately if they come across any problems in their rented properties so we can act upon it immediately. We are hoping you will return and allow us the opportunity correct the record and find the perfect property for your future holiday. Our first time this far north on Van Island... the house was spacious enough for eight of us. The extensive record collection was a fun blast from the past. Its location on the lake and 10 minutes from the ocean were perfect for lots of family play and exploration. Nearby parks offered beautiful spots for hiking, kayaking and caving. Owner Keith was on site to greet us -- laid back and super helpful. Rich Dawdy from EMR delivered prompt, pro service. Two thumbs up. Thanks.